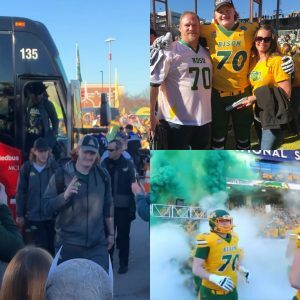 “North Dakota State wins seventh FCS title in eight years” is a headline treasured by fans of the NDSU Bison, but it’s personal for the Mauch family of Barney, North Dakota. Cody Mauch is a sophomore at NDSU, majoring in Agricultural Engineering with a minor in Crop and Weed Science. He also plays offensive tackle for the NDSU Bison football team, which beat Eastern Washington 38-24 on Jan. 5, 2019, in the FCS national championship game. 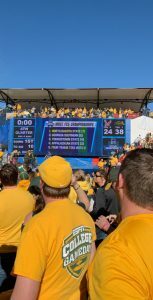 NDSU is the only college football program to ever win five consecutive NCAA national championships and the only football program to win seven FCS titles. 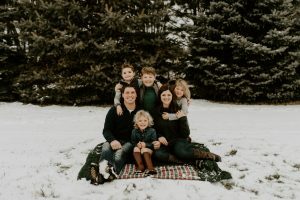 Joe and his wife, Stacey, are the proud parents of four sons and four daughters. 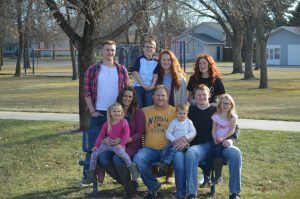 Their oldest son, Carter, graduated in December 2018 from NDSU with a degree in Crop and Weed Science. Cody is 19. Their other children are ages 17, 15, 8-year-old twins, 5 and 3. “I’m glad Carter is able to join our family’s farming operation and seed business. He will help us in so many ways, but especially in the scouting process. Carter had crop scouting internships during the past two summers, and he learned so much. He also studied precision agriculture, so he understands how all the new technologies work together,” says Joe, who started farming in 1996 with his father. Joe’s father was ready to retire about the time Joe’s youngest brother, Andrew, was ready to start farming. They raise corn, soybeans, sugar beets and navy beans. They also custom bale wheat straw. Recently the Mauchs took on a Latham® dealership to diversify their operation and to provide their seed customers with more options. Joe says he and Andrew were studying F.I.R.S.T. Trials and saw that Latham Hi-Tech Seeds has performed really well over the years. Latham brand seeds average 34 wins each year, which shows the consistency of Latham Seeds’ products and the strength of its lineup. Working with farmers to place seed products where they fit best is something Joe enjoys most about the seed business. Andrew says he really likes calling on friends and neighbors as part of their business. He also enjoys the opportunity to try new products as a seed dealer. Andrew and his wife, Bethany, are the fourth generation to live on the home place. 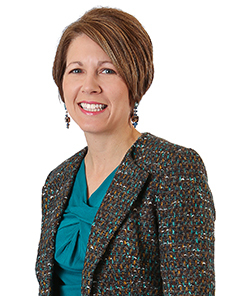 “I like that our kids will grow up involved with farming. They understand that we’re helping feed and fuel the world. They can ride in the tractor and learn just like I did,” says Andrew, who’s the proud father of two sons and two daughters. His oldest son, Mason, is 10; his oldest daughter, Adlee, is 7. Twins, Axel and Lyla, are 5 years old. Mason plays hockey. The girls take figure skating lessons and gymnastics. Everyone enjoys snow skiing in the winter and spending as much time as possible at the lake in the summer. In addition to working full-time, Bethany finds time to bake. 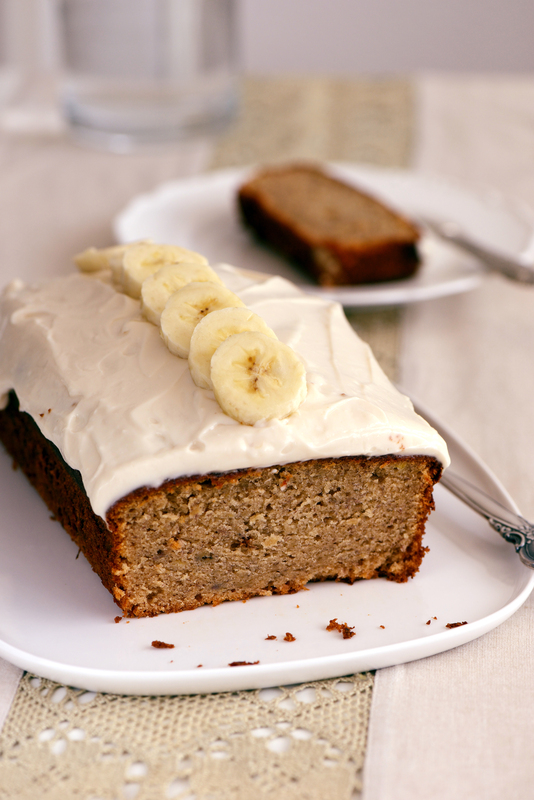 Her banana bars are a hit with those who help during harvest, so today they’re sharing this recipe with us. Cream together all ingredients for the bars and bake in a jelly roll pan for 20 minutes at 375 degrees. Mix together frosting ingredients and frost bars when they had had a chance to cool.